A New Year and a Fresh Start: Is Chapter 11 the Right Choice for You? - Hames Anderson Whitlow & O'Leary, Attorneys at Law, P.S. A New Year and a Fresh Start: Is Chapter 11 the Right Choice for You? Everyone has their New Year’s resolutions in the works in December, and one of those that many consider is getting their finances in order. 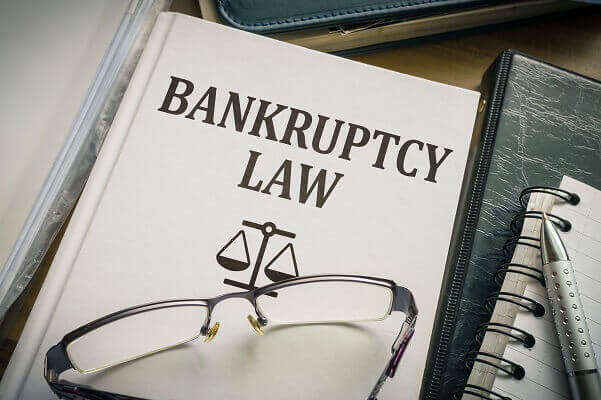 When bills pile up, you cannot catch a break, and your debt-to-income ratio has dwindled to nothing for your organization, you might consider filing for bankruptcy. By filing for bankruptcy, you can reset your finances and possibly get a better, healthier financial start in 2019 – and a possibility to grow your business further. When you file for bankruptcy, you have a few choices. Each choice is dependent on your situation, debts, and income. One of those options is Chapter 11, which is a reorganization for corporations, limited liability corporations, and partnerships. Before you assume that this is the right option for you, consider the advantages and drawbacks to doing so and also consult with a bankruptcy attorney. An attorney can review your financials and help decide which form of bankruptcy is best for your business and which one gives you the best chance at a profitable 2019. Chapter 11 lets you reorganize company debts so you can continue to operate, gain profit, and eventually pay off what you owe so you are debt free. It all sounds great, right? While there are advantages to Chapter 11, it is not for all businesses or debt situations. An automatic stay is established immediately after you file. Do you have creditors constantly harassing you at work for payment? They might threaten action against you if you do not pay within a few days. Luckily, when you file for Chapter 11, you get an automatic stay. Creditors are required, under federal law, to cease all collections, including lawsuits. You pay reduced amounts and interest rates after reorganization. Most of the time, the debts that you include in the restructuring will enjoy a reduction in the total amount due and interest rate. This means you pay less on those debts and can help preserve cash. Creditors are more receptive to a Chapter 11 plan than Chapter 7 bankruptcy. Creditors want their money, and that is the bottom line. Therefore, when a business offers to pay in a reorganization, they are more apt to accept it versus a discharge in Chapter 7 bankruptcy. A discharge means that the creditor would receive no repayment or much less after assets are sold from the liquidation. In the Chapter 11 plan, they receive a good majority of the debt due and your company still saves on the total amount paid. Your business remains operational, and you have the chance to continue to make money. The biggest advantage here is that you do not close your business, you are not laying employees off for the New Year, and you have a chance to make profits and grow your company. While excess still goes toward paying off debt, your financial outlook is more secure and your business does not end by filing for bankruptcy. The process takes longer to complete. The biggest drawback here is that it takes time. With Chapter 7, you file, go through the creditor meetings, and the process ends in a few months. With Chapter 11, you have a few years to pay off the debts but also have to deal with court hearings, filings, and costs. The court has a say in the repayment plan. When you propose your restructuring for debts, the court approves it; not the creditors. While creditors can oppose, it is ultimately up to the judge whether your case moves forward or the plan rejects. Even if your plan is rejected, your attorney can help redraft one based on feedback from the court to ensure a better outcome on the next proposal. Working with a qualified bankruptcy attorney from the start increases the odds your repayment plan is accepted initially, which saves you time and money. You may have restrictions for compensation. Bonuses and other payouts to officers and major shareholders may temporarily be restricted while you go through the restructured payment plan. This might not be feasible, depending on contracts. The court oversees all business actions and assigns a trustee. While you remain open and in charge of your business, the court appoints a trustee. The trustee is the eyes and ears of the court. They will oversee actions, approve any activities that are outside ordinary business (including sales and acquisitions), and monitor any business goals that might infringe on your duties in the restructuring plan. While bigger businesses tend to use it more, Chapter 11 works for small companies, too. In fact, in rare cases, individuals can also apply for Chapter 11 bankruptcy. Therefore, never assume the idea of restructuring is out of reach. It is best to consult with an attorney, especially when you are considering Chapter 11. You must follow specific guidelines for presenting your repayment plan, and you have unique considerations to keep in mind as you draft it. If you are thinking of starting the New Year without creditors looming over your business, then you must call the attorneys at Hames, Anderson, Whitlow & O’Leary. Our team is here to help you get through the process of Chapter 11. Even if you feel Chapter 11 is not right for you, we can find alternatives so that your business does not start a new year struggling to keep its doors open. Please consult with the attorneys at our firm about your business and let us work as a team to find a solution for your company’s financial health. Schedule a no-obligation consultation today by calling 509-586-7797 or request more information online about our business bankruptcy practices. All meetings are kept confidential.